Elia Iordanus Wood (Anglice: Elijah Jordan Wood; natus die 28 Ianuarii 1981 urbe Cedar Rapids) est histrio. Inclitus est agitendo Frodo Baggins in serie pellicularum trium Domino Anulorum (Anglice: The Lord of the Rings). Lisa Degnen. 1999. 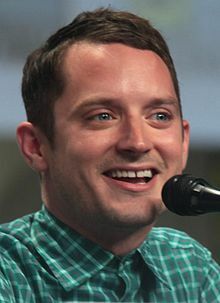 Elijah Wood: Hollywood’s Hottest Rising Star. Novi Eboraci: Warner Books. Vicimedia Communia plura habent quae ad Eliam Wood spectant. Novissima mutatio die 30 Maii 2015 hora 22:37 facta.